The global diamonds watchdog, the Kimberley Process, has cleared Zimbabwe to sell alluvial diamonds from the controversial Marange fields, despite documented evidence that top military and political chefs are involved in massive looting and that human rights abuses continue. Clearance to sell Marange diamonds from two sites was given Tuesday after a meeting of the KP members, who are the World Diamond Council and representatives from Zimbabwe, the European Union, the United States and South Africa. It was agreed the deal made “will remain under constant review” and civil society representatives will have access to “independently verify mining activity”, a statement from the World Council said. But this has angered civic groups and some observers who maintain that no diamonds from Marange should be sold until the Zimbabwe government complies with the KP regulations they agreed to, and until abuses are dealt with. The new deal ignores evidence revealed by MDC-T legislator Eddie Cross in a presentation to parliament last month, showing millions of dollars have been looted from the Marange profits. Cross alleged that top military, police and ZANU PF officials were involved and brought forward a parliamentary motion to nationalize the diamonds. He was later threatened by intelligence agents on his way home. Further abuses were also revealed by the South African television programme Carte Blanche on Sunday, who spoke to victims in Marange. One miner said security guards from private firms hired by Mbada Investments, who have concessions in Marange, are using dogs to attack them. He said guards held him down while a dog bit his mouth. Another victim said he had witnessed many attacks by guards using dogs, including a brutal incident where a dog bit off a woman’s breast. The stories told to Carte blanche confirmed the abuses that MP Eddie Cross talked about in parliament. A separate investigation by the BBC had earlier shown that torture camps also exist in the Marange area. 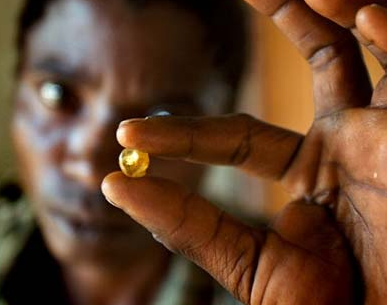 Mike Davis from the rights group Global Witness told SW Radio Africa on Wednesday the new deal was a “very poor decision” by the KP, and that it may reduce their influence and level of respect in the global diamond market. He said the decision was “deeply disappointing” as Global Witness had invested many years in getting the KP established. “The KP has effectively surrendered its influence over Zimbabwe by saying that from now on the main mines can export diamonds without any checks or balances or further restrictions,” Davis said. He explained that the KP was supposed to authorize specific exports “as and when” Zimbabwe showed progress in reforming the situation in Marange, but that link between progress and exports is now gone. “So there is really no incentive now for the Zimbabwean government to comply with its commitments,” Davis added. In 2008 the government sent troops to the Marange area to remove all small scale miners and villagers who had been operating there, and according to Human Rights Watch at least 200 were killed and many others assaulted or abused. KP halted sales from Zimbabwe and a deadlock has existed on the issue, with only China and India favouring the authorization of Zim diamonds for sale. But a brisk trade in illegal diamonds has flourished in Mozambique, profiting military and government chefs who bypassed national coffers. The deal authorized Tuesday requires Zimbabwe to update KP monitoring staff consistently as to the identity of mine investors and the progress on eliminating illegal mining and traffickers, a statement from the Council said. Ironically, the meeting Tuesday was held in the Congolese capital Kinshasa, a place renowned for fuelling African conflicts using “blood diamonds”. The DRC is currently the chair of the Kimberley Process. Davis said it was clear what commitments the Zimbabwean government had made to remedy the situation, and it was equally clear that they have not met most of them. Unfortunately it is ordinary Zimbabweans who will continue to be the victims and it will be the ruling party chefs, military and unscrupulous business people who will go on stealing the country’s resources. soldiers of at least 200 illegal diggers in 2008, rights groups say. billion - had been siphoned off to ZANU(PF), he said. threatened with death for his statement. consumers that they are not financing war or human rights abuses. since the 19th century, and it triggered a chaotic diamond rush. stones, is valued at around $2 billion. profits that he said already could not be accounted for. Security Policy and vice-president of the Council. Where Will Christmas Diamonds Come From? could be approved upon visit by monitors this month. Point of its official status, according to civil society members. an environmental lawyer at the Zimbabwe Environmental Law Association. the stockpiles? There is no clear answer. "The question of age is catching up, the question of health is catching up,"
Tsvangirai, Mugabe's political rival, told a news conference. cancer that has spread to other parts of his body. what has become an almost monthly journey. brushed off speculation about his health. disease common in Zimbabwe can be treated "at the nearest hospital". president is sick he should be attended to," Tsvangirai said. and blocked off the offices of Tsvangirai's Movement for Democratic Change. my office and me personally," Tsvangirai said. progress we have made," he said. run-off against Mugabe to end the violence. elections -- a process running more than a year behind schedule. Joice Mujuru and hardliners led by Defence Minister Emmerson Mnangagwa. death have yet to be made public, adding to the tensions in the party. Mugabe. The costs have mounted to 29 million dollars over eight months. president is sick, he should be attended to,' Tsvangirai said. the eighth time this year. cancer and does not have long to live. Zimbabwe's Prime Minister Morgan Tsvangirai said Wednesday. the population struggles to have one meal a day. suffering from. Maybe the attention (Mugabe needs) is outside the country. earlier in the year, and that he had just had "a final review." contained in the WikiLeaks documents that party officials told U.S.
diplomats that Mugabe had prostate cancer and would be dead by 2013. Gono has rejected the claims that Mugabe had prostate cancer. reaction saw commuter operators refuse to have money extorted from them. the army being called in. those arrested, the Herald newspaper said. Harvest House headquarters, they ran into the building, he said. Police chased them inside, sparking a scuffle with MDC activists, he said. of the building, which the suspects used to flee," Sabau said. was an excuse for police to harass the party. "This is a deliberate attempt by the police to harass and decimate the MDC,"
against him and his supporters. 200 of his supporters dead. blame, Prime Minister Morgan Tsvangirai said on Wednesday. gripping the country," Tsvangirai told a monthly media briefing. 2008, but talk of a possible election next year has reignited tensions. progress we have made," Tsvangirai said. that the issue of violence would be dealt with. He gave no further details. In September Mugabe called for an end to violence in a speech to parliament. a hospital in the capital Harare, August 5, 2011.
his party control the police in Zimbabwe. violence in Harare and elsewhere in the country must stop. or stopped by police, some of which he had been due to address. saying they have incurred travel expenses of $29 million this year. when it is not available in Zimbabwe. am I to question,” said Tsvangirai. the party to consider seeking redress from Sadc. amid signs of a return to instability. before turning on unsuspecting passers-by. customers were trapped inside the stores as the police showed no mercy. offices whose access roads they had cordoned off. Nelson Mandela Avenue at about 1505 hours. had to be helped regain consciousness by passers-by. details for torching off the skirmishes. “Some riot police officers came to the MDC offices in the afternoon. the police, resulting in running battles between the two groups. officers who had earlier assaulted them. their vehicles. Police were still pouncing on shoppers and workers. escape from the marauding police officers and choking teargas. but did not disclose why they were looking for him." was not clear whom they wanted to rescue them from,” said Mwonzora. House offices without proper explanation,” said Mwonzora. Mandipaka proved fruitless as his mobile phone was switched off. selling pirated MDC music CDs. between 30th March and 30th May, a Copac co-chairman has said. constitutional issues that came from the outreach,’Mwonzora said. the way for fresh polls following the country’s bloody 2008 elections. of the state witness Jonathan Shoko. reduced to conniving to incite and promote public violence. Shoko was further asked if he used a different name. name Jonathan Shoko did not exist in the department. twitter, to which he denied. President Robert Mugabe and his party. over Tsvangirai's support for gay rights. academic qualifications or the skills to lead Zimbabwe. "erratic", "flip-flopper" and several other denunciations. gay Rights. One even suggested the PM himself was gay. of the Central Intelligence Organisation and the Department of Information". slamming the state press for practising "gutter journalism." in the Global Political Agreement. speech from newspapers in Zimpapers stable. the image of the MDC and its leadership." Wikileaks cables hangs in the balance. in retaliation for that country's recent refusal to grant visas to Mr.
Mugabe's wife, Grace, and five aides. pressing foreign firms for majority black stakes. He said Swiss companies "are not exempted" from the indigenization process. alleged human rights violations and election-rigging. family, a former milk supplier. said the company has not received any communications from government. government policy because it was never brought to cabinet." visa denials were inexcusable and that Harare must retaliate. Blessing Zulu that moves by Harare against Swiss interests could backfire. with espionage were yesterday granted bail with strict reporting conditions. first time since their arrest last week. submitted that their clients’ capital means were different. They will be back in court on October 15.
to challenge their clients’ placement on remand. convince the court on why the three cannot be granted bail. case against the accused,” Mutevedzi said. would not abscond,” he said. Afghanistan from July to Thursday last week. invited the company’s representatives to Zimbabwe, the court was told. transmitting Internet and voice over protocol. already affecting the outlook for crops. shortfall in the most vulnerable areas of the country. weather among other factors will be key. Institute of Environment and Development. observed Juliet Gwenzi, also from the UZ. decrease in net farm revenue of about $0.4 billion. by between 4-25% and run off water would decline by up to 40 %. Shepard Zvigadza, Director of ZERO. Zimbabwe's government is requiring parents to help pay teachers' salaries - which should be the state's job. As concerns deepen about the quality of education in Zimbabwe, parents can expect an indefinite extension of subsidising teacher salaries as the cash-strapped government struggles to meet the bloated civil service wage bill. Teacher incentives - a stipulated amount of usually between $2 to $5, which is paid by parents directly to teachers on a monthly basis - were introduced two years ago by the government to supplement teacher salaries. But many parents say the situation has become untenable and that they can no longer afford to contribute to teachers' salaries. Zimbabwe's education sector is bedevilled by a myriad of problems. In addition to the low teaching salaries there is a shortage of teachers as many have left government schools in search of better wages in the private education sector. In addition, thousands of unregistered and bogus colleges have sprouted across the country. While Education Minister David Coltart has called the incentives "a necessary evil" if teachers are to continue working, parents like Davison Phiri believe this "cannot go on forever." "[Teacher's salaries] ... is the government's obligation." "We want our children to go to school but it is unfair that we are expected to (supplement teachers' salaries), which in fact is government's obligation," Phiri said. "If the government has no money, surely education is one of those areas that must be prioritised with what little (money government) has?" he asked. Coltart announced in September that the incentive scheme would continue despite complaints from teachers' unions and parents that this system makes education inaccessible to the poor. With these incentives, teachers can earn up to $500 a month, but there are increasing concerns that they are not fully discharging their duties when learners fail to pay these controversial bonuses. The pro-government Zimbabwe Teachers Association (ZIMTA) said the incentives must be discontinued. "Teachers are now fighting with parents because of these incentives," said ZIMTA's chief executive officer, Sifiso Ndlovu. "This just cannot be sustained indefinitely." Parents pay varying amounts under Parents and Teacher Association agreements. Primary school teachers get paid about $2 a month per child, while secondary school teachers get up to $5 a month per child. Teachers' salaries increased this year from around $150 a month to $220 a month. But this is well beneath the country's poverty line of $500 a month, which indicates the basic living cost for a family of five. The country's diamond sales have also been sucked into the issue of teachers' salaries. Early this year, President Robert Mugabe responded to a strike threat by teachers' unions over poor salaries by saying that the government had made enough money from diamond sales to meet these demands. "If ministers and legislators can buy themselves luxury cars, they must also have enough for teachers." However, Finance Minister Tendai Biti, a member of the opposition Movement for Democratic Change, disputed Mugabe's statement. This sets the stage for a long-drawn public spat among the coalition government partners about teachers' salaries. However, the Progressive Teacher Union of Zimbabwe (PTUZ) insists that the government has made sufficient money from its diamond exports to pay teachers more. "The government has made enough from the diamonds and they must give us some of that money," said Tennyson Dube, a teacher affiliated with PTUZ. "If ministers and legislators can buy themselves luxury cars, they must also have enough for teachers," Dube said, referring to the recent announcement that the Ministry of Finance approved a $5m purchase of vehicles for legislators. However, the International Monetary Fund has raised concerns that Zimbabwe cannot afford a huge public service wage bill as this will effectively scuttle any efforts towards economic reconstruction. Meanwhile, those parents who can afford it have turned their back on government schools and have opted to send their children to private and even unregistered schools and colleges. "We are aware some of these colleges are not registered but at least here the teachers are dedicated," said Mavis Sibanda, whose child attends class in a municipal recreational hall that has been turned into a school. However, it is not certain for how long the unregistered schools and colleges will survive. This year, the government has shut down hundreds of such schools, which have been operating without licences. Meanwhile, human rights watchdog Amnesty International released a report in early October stating that hundreds of thousands of school children were still reeling from the effects of the 2005 Operation Restore Order, a government campaign that forcibly destroyed informal settlements and indirectly affected almost 2.4 million people. "The victims (of Operation Restore Order) have been driven deeper into poverty while denial of education means young people have no real prospect of extricating themselves from continuing destitution," Amnesty International's Deputy Africa Programme Director Michelle Kagari said. "The government's removal of people from places where they had access to education, and its subsequent failure to provide education, has struck a devastating blow to the lives and dreams of thousands of children," Kagari said in the report. farmlands which President Robert Mugabe has said are useless. families and on-sale to the market. Grain Marketing Board, which Zanu (PF) party hacks have hijacked. degradation of commercial agriculture in Zimbabwe. farming input supply system that was supporting small village farmers. productive and guarantee food security for their families and the nation. rendering Mugabe’s project to grab land a total waste. materials to produce a surplus. agricultural season. 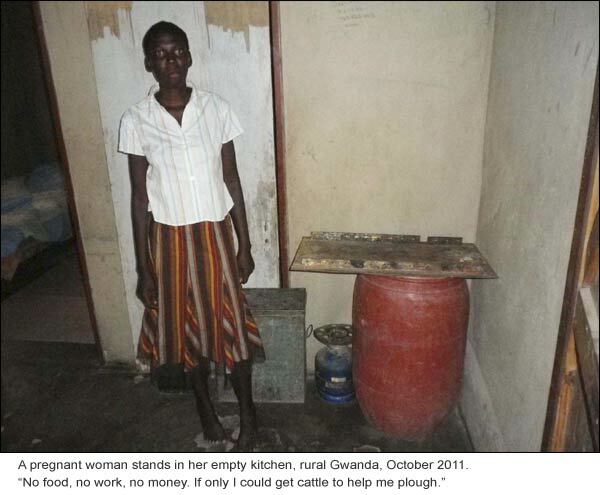 Another 20 - 25 000 would get loans to buy livestock. to get to the nearest supplier of inputs. Quinlan said, speaking during a recent meeting with the project’s suppliers. for the project was “improved food security for rural farmers”. “The programme aims to get to farmers high-quality inputs for agriculture. spent on funding the farmers. a system to redeem their funds from the donor. plants about half a hectare of maize. revealed that Chiwenga had not completed a single top-level military course. Chingono and Satuku were trained in the USA and Britain. formal board of enquiry has been set up as required by the Defence Act. generals amount to victimisation and harassment. not be contacted as his mobile phone went unanswered. was closely monitored by the intelligence services. a military analyst who asked not to be named. the rights of the officers. just investigate such senior commanders without following proper procedures. HARARE - Prime Minister’s Question Time was inaugurated in the House of Assembly on Wednesday 26 October, taking up the hour immediately after the opening prayer at 2.15 pm. Are there contradictions within Cabinet on indigenisation policy? The PM said No, asserting that the policy is to encourage every Zimbabwean to participate but not to contradict the “whole thrust of promoting investment” because “everyone would agree that the idea is not to share a small cake, the idea is to grow the cake so that we can all share”. A follow-up question on the Zimplats Community Share Trust was disallowed by the Speaker as raising matters that should be dealt with by the appropriate Minister. 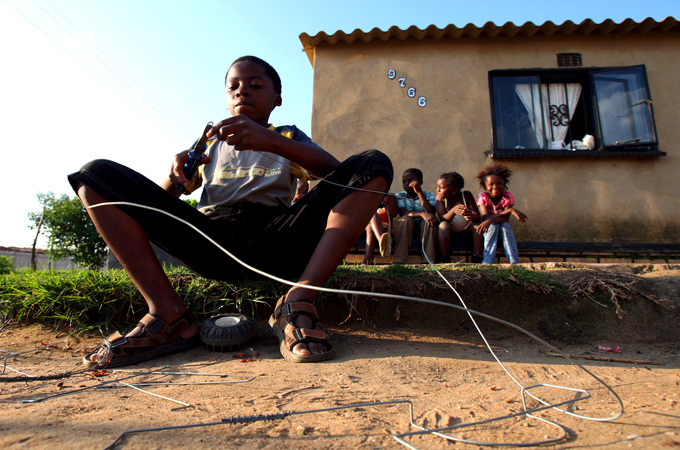 What is Government policy on unfinished projects, some as much as 10 years old? The PM, referring in particular to nearly completed building projects, replied that the policy is to complete unfinished projects before implementing new projects. What is Government doing to ensure Zimbabwe is on track to achieve the Millennium Development Goals? The PM said lack of resources meant the Government might not achieve all the MDGs on time, but it was doing well with health services. What is Government doing about ending the broadcasting monopoly and opening up the airwaves? The PM assured the Houses that the GPA principals regarded it as “critical” that the Broadcasting Authority of Zimbabwe board be reconstituted. He added that the principals had directed Minister Shamu accordingly and that there have to be multiple media voices. What is Government policy on stopping inter-party political violence? The PM said violence was not taking place at the higher levels, but in the villages and on farms. The government would be convening a meeting of national executives of all political parties to come up with a code of conduct for parties down to branch or ward level. Are the current delays in the constitution-making process caused by lack of funding? No, said the PM, funding has been provided. of the monthly Prime Minister’s Press Day. back order and peace in the country. can empower the people of Zimbabwe. not a few well-connected politicians. areas to the deficit areas. conduct of a free and fair election. refused to act to ensure movement in this key area. This is the biggest assault on our quest to media freedom in this country. Zimbabweans want a plural media. They do not want more of the same. that there are media reforms taking place in Zimbabwe. On Monday I launched the Health Transition Fund in Marondera. investment into education since independence. our education which had collapsed due to three decades of misgovernance. the ministries and endorsed by Cabinet. being more focused and progressive. in the GWP but also in the GPA. difficult to monitor implementation of government programmes. specific projects on the ground. I shall come to the specific actions by the police later in my remarks. of 28 violations a day. police in gross human rights violations. social order in the country. violence in Harare and elsewhere. into a standstill as citizens scurried for cover. to the effect that the rallies must proceed. functionaries masquerading as a police force. disrupting proceedings and preventing people from freely airing their views. programmes and assaulting civilians with impunity. this shared executive authority that no one should undermine. police officers promoting lawlessness in the country. violence and without firing a single bullet. confidence and provide a platform for alternative voices. The deployment of that team is long overdue. swore to do at the formation of the inclusive government in February 2009.
ahead of the next election. grandfather. I am a family man. because judgment is a preserve of God the Almighty. refuse to throw a stone at them. The discovery of massive diamond deposits in Zimbabwe has led to hundreds of media reports exploring the abuse of human rights and grandscale corruption. It can be difficult to keep up to date with events as they unfold, or to tease out the key story as it unfolds. Sokwanele has produced a full report that aims to synthesise this glut information into a single report providing our readers with an accessible and wide ranging overview of events, meetings, human rights abuses, environmental degradation, and the network of the people involved in the ‘Marange story’. We have also produced a timeline highlighting Kimberley Process meetings and other key events. The struggle for power in Zimbabwe is inextricably linked to the discovery of “the richest diamond field ever seen by several orders of magnitude”1 at Marange. What should have been a means of salvation for the virtually bankrupt country after ten years of chaos that saw world record inflation and the nation brought to its knees has led, instead, to greed, corruption and exploitation on a grand scale, the use of forced labour – both adults and children – horrifying human rights abuses, brutal killings, degradation of the environment and the massive enrichment of a select few. By November the army was firmly in control and they turned rapidly to forming syndicates6, often using forced labour, including women and children. It is clear that China stands to gain much from its extensive investments in the mining sector. All revenues from the Zimbabwe government’s joint diamond venture with Anjin over the next 20 years may already have been mortgaged to Beijing to pay off a contentious US$98 million loan to build a vast “techno-spy and communications base”, the Robert Mugabe School of Intelligence, outside Harare. This is where the Kimberley Process Certification Scheme should be making an impact. Its critics consider that the KP’s response to the systematic and gross human rights violations rampant in the diamond fields of Zimbabwe ranges from ineffectual to complicit. At the KP’s Intersessional Meeting in Kinshasa during June, the World Diamond Council President, Eli Izhakoff, urged all KP participants to correct past mistakes and return to the core principles that characterised the KP when it was established. In his address, he stressed that the Kimberley Process system was about “humanity, not politics”. Human Rights organisations have also drawn attention to the fact that the government and the mining companies have failed to provide basic facilities for re-settled families. Some of the families, who have been moved to Arda Transau farm, live in disused tobacco barns where there is no ventilation, let alone electricity or water. Southern African Resource Watch (SARW) notes that the environment in Marange is fragile and congested, and that the area is very dry with few rivers of any note. Forests have been exploited in recent years, leaving most areas with diminished cover. Dams in the area are silting as a result of the indiscriminate activity of the mining companies and it has been noted that the Odzi River has been polluted and silted by the operations of Canadile. Despite rampant corruption, smuggling and the looting of diamonds, The Times (SA) reported on 7 August , 2011 that Zimbabwe had entered the top 10 league of the world’s gem-producing countries…. and could yet recover from a decade of economic ruin if good governance is restored. Organisations such as Human Rights Watch and the Zimbabwe Blood Diamonds Campaign have called repeatedly for the removal of the army from the Marange district, the demilitarisation of the diamond industry and a return to the rule of law.28 Finance minister Tendai Biti has stressed the need for the country’s mining laws to be overhauled so that there is greater transparency in the operations of the industry. Militarised diamond mining and trading at Marange has resulted in loss of life, human rights abuses, corrupt practices and the enrichment of a privileged and powerful political elite. As a result of the Zimbabwe government’s actions, the world’s diamond industry has been brought into disrepute. Nationally, Zimbabwe is more food secure at the end of 2011 than it has been for several years. However, parts of Zimbabwe suffered serious crop failure earlier this year and a million people are still predicted to need supplementary feeding. In Gwanda, Matabeleland South, the authors found that almost half of households indicated a day without food in the recent past. Only 17% of families reported eating three meals a day, meaning that 83% of households were, weeks before the onset of the official "hungry season in October", already making food compromises daily. Grazing is critical, and people are traveling further to find water. This has been one of the hottest Octobers on record. Several families reported that baboons were killing and eating young goats and chickens, as the hunger now affects all living creatures in this area. Several families had no livestock left at all, not even one chicken. This hunger – already so extreme ahead of the recognized "peak hunger season" that officially lasts from October to February – is taking place at a time when Bulawayo, traditionally the source of employment and resources for Matabeleland, has seen a cataclysmic loss of jobs in industry in the last two years. This means that part of the greater support system for rural Matabeleland is highly compromised. The report traces the recent economic history of the region, and efforts to regenerate industry. "Hard Times" Matabeleland: urban deindustrialization - and rural hunger is available in pdf format on our website (3.1MB). Please visit this link to download the report. · the courts and the law-enforcement agencies enforce and apply the law impartially. Obviously, if these conditions are to exist there must be an effective and independent court system. The rule of law is not the same as democracy, because it is theoretically possible for the rule of law to be respected even by an undemocratic government, but it is hard to envisage a truly democratic society in which there is no rule of law. So, because an effective and independent court system is essential for the rule of law, and because respect for the rule of law is an important element of a democratic State, one can say that a functional and independent court system is vital for a truly democratic State to exist. Despite its importance, the judiciary is the weakest arm of government. It depends on the other branches to be able to function at all. Court officials are paid out of funds allocated by the Executive and Parliament; in criminal cases, the co-operation of the police is vital; and the enforcement of court decisions, both civil and criminal, depends on people who are employed by the Executive. If the Executive chooses to disregard a court decision – as has happened frequently in this country – there is little the courts can do about it, other than protest. 5. by ensuring that members of the judiciary observe high standards of ethical conduct. Under section 84 of the present Constitution, the Chief Justice and the other judges of the Supreme Court and High Court are appointed by the President after consultation with the Judicial Service Commission (JSC). If the appointment of any of these judges is not consistent with a recommendation made by the JSC, the President must inform the Senate of that fact. The Constitution does not say what the Senate is expected to do in such a situation, so presumably there is nothing it actually can do, even if it does not agree with the President. This means, in effect, that the President can appoint whoever he likes, even if the JSC has recommended otherwise. Judicial officers who preside over the specialised courts mentioned above (the Administrative Court, the Labour Court, etc.) are appointed by the President after consultation with the JSC (section 92 of the Constitution), though there is no provision for the President to inform the Senate if he goes against a recommendation made by the JSC. Magistrates are appointed directly by the JSC (section 7 of the Magistrates Court Act). The JSC consists of the Chief Justice or his or her deputy, the chairperson of the Public Service Commission, the Attorney-General and between two and three other members appointed by the President (section 90 of the Constitution). No member of the JSC, therefore, is independent of the direct or indirect influence of the executive (but, as indicated above, even if the JSC was genuinely independent it would not matter anyway). Not surprisingly, there have been repeated allegations that judicial appointments and promotions have been politically motivated. How can the new constitution improve the selection process? Internationally, there are two main ways of selecting members of the judiciary: election and appointment. If the principle to be observed in a democracy is that all legal and political authority derives from the people, then logically the people should elect, not only members of the Executive and the Legislature, but members of the judiciary as well. Most countries do not have judicial elections, however, prominent exceptions being the some States of the United States, Japan and Switzerland. · Legitimacy: The election of judges gives them sufficient legitimacy to be co-equal with the other branches of government. · Accountability: Elections make judicial officers more democratically accountable. Elected judges are likely to be more in tune with public opinion. · Transparency: Judicial elections are more competitive, open and fair than most appointment procedures. · Lack of professionalism: Ordinary voters do not have enough information to pick the best judges. They may not appreciate the professional qualities required for a judge, and judicial candidates cannot voice their opinions like candidates for political office (it would be improper for a candidate judge to pander to the electorate’s baser instincts by promising to hang all murderers and rapists, or to penalise the rich). · Political influence: Elected judges will be tempted to give judgments that will ensure their re-election; this is the obverse side of accountability. · Corruption and bias: Although the election of judges does not inherently require political partisanship, there is a danger that elected judges become too closely aligned to political parties or individuals who contributed to their election campaigns. The fact that few countries have chosen to have a system of elected judges is most telling. If electing judges was a self-evidently superior system, one would expect it to be in much greater use, but very few countries have such a system. Judges and magistrates are usually appointed, subject to safeguards to ensure their independence, by the Executive or the Legislative branch, or by both branches. If judges and magistrates are to be appointed, the questions arise: who should appoint them? What procedures should be followed? Usually, the appointment of judges is, at least formally, made by the head of State. In the case of magistrates and other junior judicial officers the appointment may be made by other authorities. In Zimbabwe before June last year, magistrates were appointed by the Public Service Commission because they were part of the Public Service; now they are appointed by the JSC. There seems no reason to change this position: under the new constitution senior judicial officers should continue to be formally appointed by the head of State, while junior officers should be appointed by the JSC or whatever other body is created to oversee the judiciary. What needs to be changed is the pre-appointment procedures for selecting appointees (see above) and procedures for appointment. In Canada and Australia, judges are appointed by the head of State (the Governor-General) acting on the advice of the Cabinet which is conveyed to him or her through the Prime Minister. In Canada an advisory committee is formed whenever a vacancy occurs on the Supreme Court bench, and this allows for greater consultation though it does not fundamentally alter the largely informal process. In India judges of the Supreme Court are appointed by the President in consultation with the Supreme Court, and appointments are generally made on the basis of seniority and not political preference. Judges of state High Courts are appointed by the President in consultation with the Chief Justice of India and the governor of the state concerned. While in these countries the Executive theoretically has a great deal of freedom in choosing judges for the highest court, it needs to be remembered that they are all strong democracies with a vigorous free press. Consequently, politicians must act with caution. In the United States, Supreme Court justices, and judges of Federal appeal courts and district courts, are nominated by the President and confirmed by the United States Senate. The Senate Judiciary Committee typically conducts confirmation hearings for each nominee. The system is open to criticism: the hearing process, for one thing, is said to be intrusive and time-consuming; Senators try to get candidates to commit themselves to a particular line on contentious issues; and nominations are very much affected by the President’s own political outlook. In the United Kingdom a Judicial Appointments Commission is responsible for selecting judges in England and Wales. It is a independent statutory body made up of 15 members of whom nine are drawn from the judiciary and the legal profession and six are lay-people. The Commission interviews applicants and selects them on merit measured by five core qualities: intellectual capacity, personal qualities (integrity, independence, judgement, decisiveness, objectivity, ability, willingness to learn), ability to understand and deal fairly, authority and communication skills, and efficiency. Successful candidates are formally appointed by the Lord Chancellor (not the head of State). In South Africa judges of the Constitutional Court are appointed by the President after consultation with the JSC and the leaders of parties represented in the National Assembly (the President is free to disregard their opinion). The candidates for appointment are chosen from lists prepared by the JSC after public interviews. The President appoints judges of the Supreme Court of Appeal and the various High Courts on the advice of the JSC (he must follow the advice) and he appoints the Chief Justice, the President and Deputy President of the Supreme Court of Appeal after consultation with the JSC (but can disregard its opinion). The South African JSC is a large body comprising judges, members of the legal profession, the Cabinet and members of both Houses of Parliament; when it considers appointments to a provincial High Court, it includes the premier of the province concerned and the judge heading that High Court. Hence the legal profession, the public and politicians all have a say in the appointment of judges.